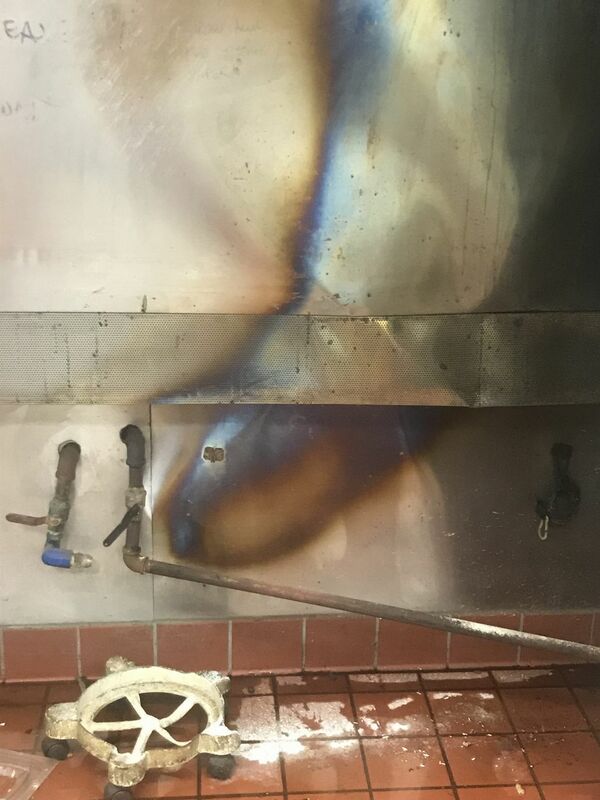 Vandals broke plates, poured bleach on floors, stole cash registers and cut a natural gas line at a downtown Anchorage restaurant accused of racism on social media. Damage at the Paris Cafe and Bakery on East Fifth Avenue is estimated to be $10,000, Anchorage television station KTVA reported. "They just poured bleach everywhere — it still smells like bleach," said Michael Patterson, a waiter whose family operates the restaurant. 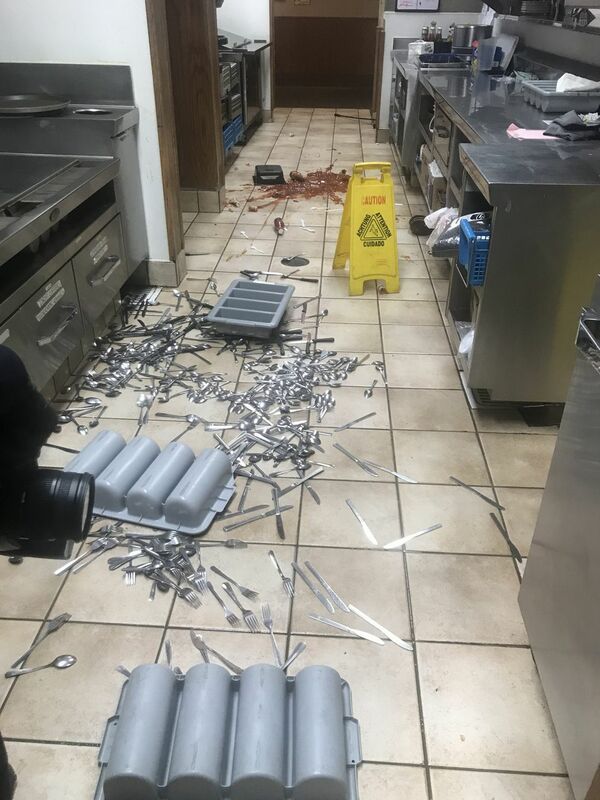 The vandalism Sunday night after the cafe had closed was preceded on Saturday afternoon by what Patterson called a miscommunication. A woman whom Patterson described as "off the street" entered the cafe and started eating food off plates. 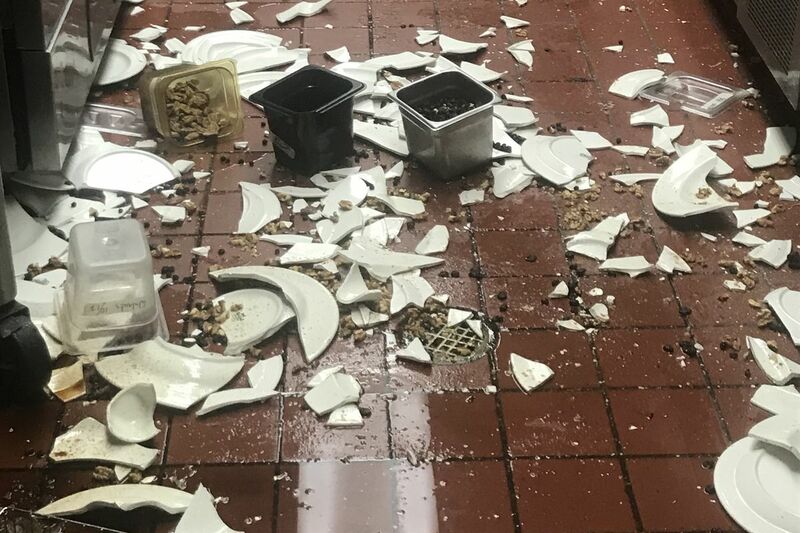 "When she was asked to leave, she started throwing food at the waiter and customers," Patterson said. "We're trying to create an environment where people want to eat." Two hours later, a woman tried to purchase meals for two people who appeared to be homeless, Patterson said. A hostess told the woman she could get meals to go but the two people could not eat them in the restaurant. "It was being put on Facebook that we were being discriminatory against Alaska Natives and I guess it spread," said Patterson. "Almost immediately, the same day, within an hour or so, we got nonstop calls of people telling us we are racist discriminatory, that we are going to boycott your restaurant." The damage could have been worse, Patterson said. He and his brother open the cafe every day and an explosion from the damaged natural gas line could have seriously injured them. "We could have been injured or killed because a miscommunication led to an escalation through Facebook, and then people took it upon themselves to commit an act of violence," Patterson said. Messages left by the television station requesting comment from people who made or shared social media posts were not immediate returned.